This is an actual photograph taken by our neighbors (after they called 911 and let our dogs out of the yard). I am so thankful! 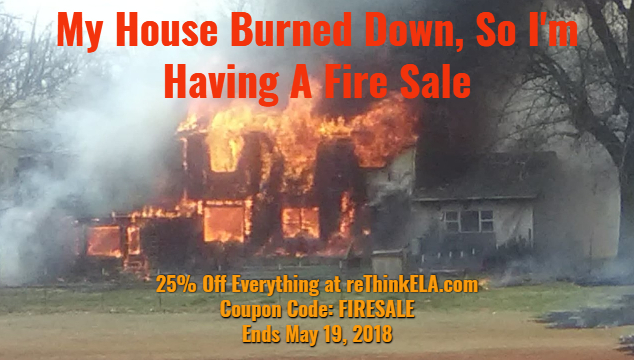 If you’re on the #rethinkela mailing list, you already know about my FIRE SALE. If not, and you need a few end (or beginning) of the year #ela short story units or writing projects, click here to read about my sale. If you’re not on my mailing list, I’d love to keep in touch with you. Join us (and our Facebook group) here.